An engaging and easily read email can make a huge difference between email being just read, opened and deleted, or simply being deleted. 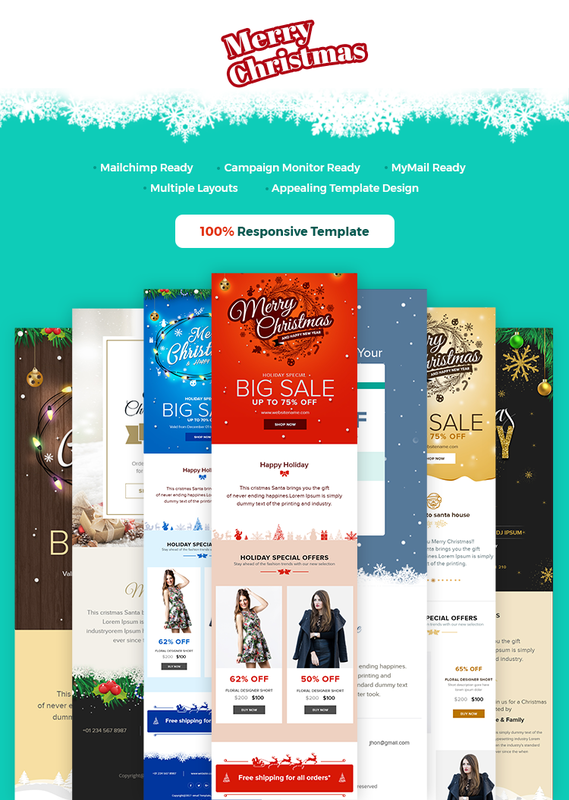 Christmas Email Bundle is an outstanding email template that can be utilized to make some impressive email campaigns for all types of businesses. Available at the most cost-effective prices, this Christmas email template bundle is a set of 10 Email Templates. The most attracting part of this email bundle is that it comes with Duplicate or Delete modules, Online Builder Access Code and MyMail Ready Template files. Moreover, this email bundle comes with an array of features which includes Unlimited Structures and Colors, Inline CSS and optimized code, Campaign Monitor Ready Template and many others. Making use of background image in your emails can enhance the overall appeal and feel of your emails. The templates included in the collection allow you to change the background images as per your wish. All the templates that we offer are 100% responsive and are built in such a way that they adapt to any screen size they are rendered on. As the mobile users are increasing, these template can be highly beneficial. All the email templates in the collection have a drag and drop tool which can be accessed free online. With the help of this tool, you can easily drag, replicate and drop images or content and design your template in no time. The major benefit of these templates is that they are fully compatible with MailChimp which is the most popular email service provider. You can easily use all the characteristics of MailChimp without facing any trouble. All the Christmas email templates bundles that we offer are tested on LITMUS.com to assure that they are suitable for all major email clients such as Android, AOL Mail, Apple Mail, Gmail, Hotmail, iPad and many more. With Christmas email bundle, all the templates that you get, come with the campaign monitor ready feature which is among the most popular tool for monitoring the email campaign. As a result, you can easily monitor email campaign. 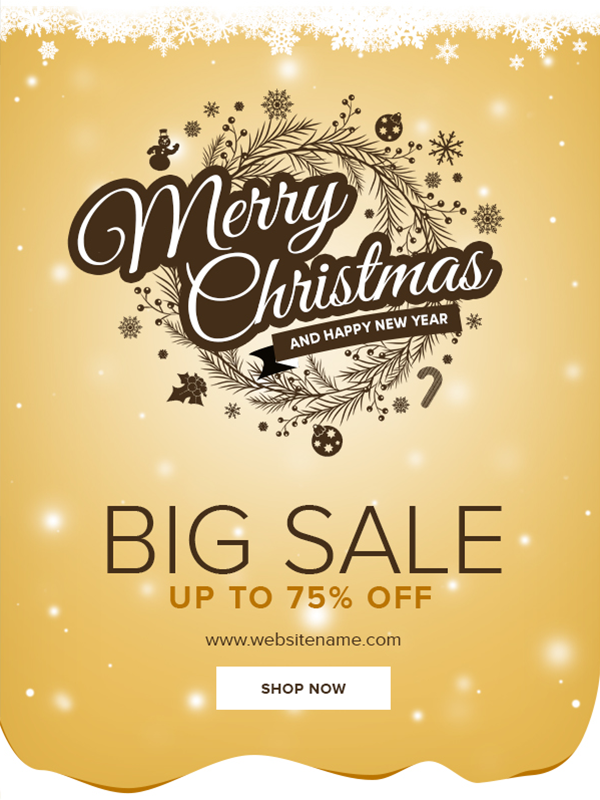 Christmas Email Bundle templates come with an awesome collection of 10 email Christmas templates that helps the businesses in making out of the box email campaigns. Available at reasonable prices, these email templates are filled with some exciting features like MyMail Ready template, Properly Named & Editable Fully Layered PSD File and many others. The wide range of Christmas templates that we offer is designed in a way that they are free from any kind of errors or bugs and can be easily displayed on any screen and platform. To make the usage of these templates hassle-free, we provide documentation along with the template that contains complete details regarding editing and other features. Available at the most competitive prices, the set of these 10 Christmas templates is one of the best ways to make your email campaign more attractive and engaging. These Christmas email templates come with a huge range of colors and structures that help you to design your email as per your need and wish. The email templates that we offer are laced with fully customized layout on the fly that help in creating customized email campaigns. Email Bundle comes with properly named and layered PSD file that allows you to convert your PSD into beautiful HTML email template.